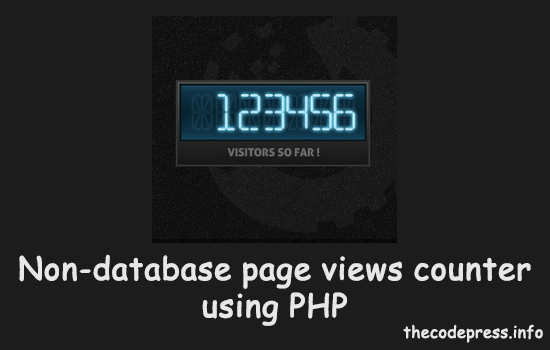 Page views counter is very helpful to get numbers of visitors visiting your website, but most of time many people saves that in database and in text files. In this tutorials we are going to save it in text files. The ideal way to use this script is not to make the numbers of hits visible to your users, but if you want so make it visible then read the file and print it. Add this block of code after calling the function 'hits()'.